Apple unveiled a lot of updates today, but none were greater than Handoff (also Continuity, which is a related feature), a feature for both OSX and iOS. Here’s why. Handoff means integrating your iPhone, iPad, and iPhone, so when you put one down, you can resume what you’re doing on the next device. What is Apple’s biggest issue today? If you guessed that they’re losing iOS users to Android, you’re correct, and it’s a real problem. Handoff is the solution. The iPhone, and the Mac are great by themselves, but in order to convince users to keep both Macs, and iPhones (or iPads), Apple needed each device to provide immense value to the other. By letting you use the features from one device on the other, Apple has met that goal. Text from your Mac. 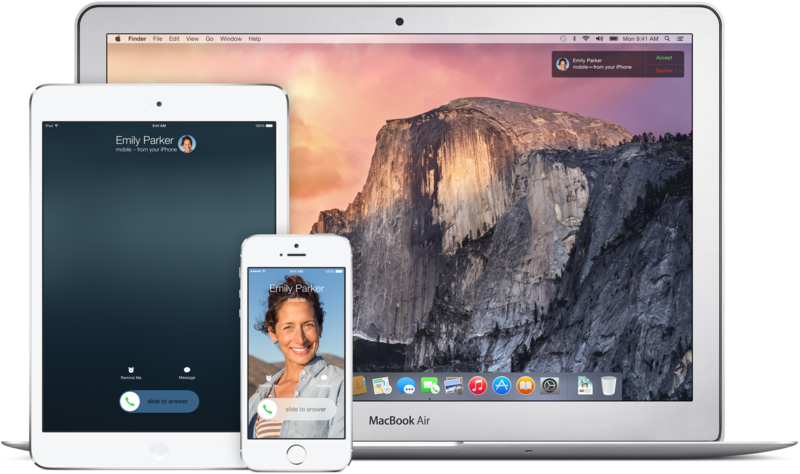 With the introduction of messages in Mavericks, you could already send iMessages via mac, but now you can send real SMS and MMS messages to any type of phone, straight from your Mac. 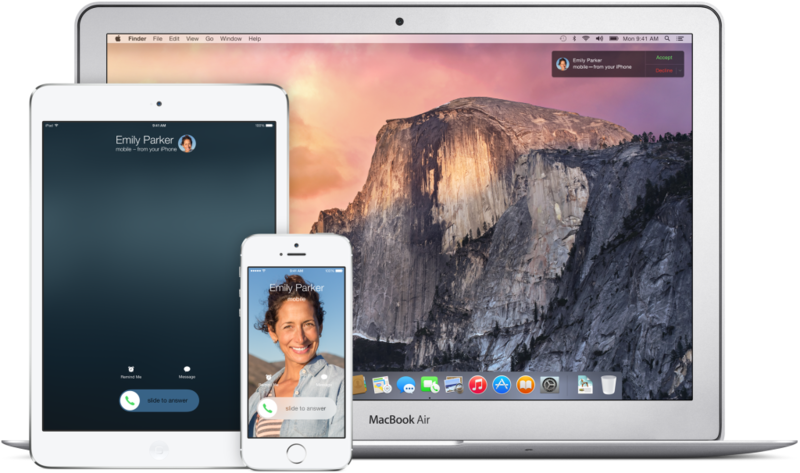 You can use your Mac as speakerphone, or as caller-ID, even when using your phone. Airdrop is finally cross-platform. Airdrop makes it easy to transfer files, and web pages. Now, you can simply swipe, or tap to move your file (or whatever you’re sharing) from your Mac, to your iPhone, or the other way around. Instant hotspot: You no longer need to go into your iPhone to activate your personal hotspot. Now, so long as your iPhone is near you, you can activate its personal hotspot right from your Mac, and use it as Wifi. It automatically shuts off when you’re not using it so as to not waste battery. You can even check your phone’s battery, and connection, so as to make sure you don’t drain your battery when you really need your phone (oops – I’ve done this about a dozen times). Overall, it’s an exciting offering for customers, and a very good way to retain customers. It makes the whole greater than the sum of its parts, and offers something that currently, no other smartphone maker can provide.